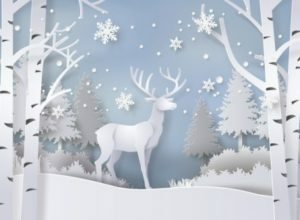 Discover the top five cards the Christmas Connections team are loving this month! This design oozes radiance. The light and glow used to create this image is simple yet effective. 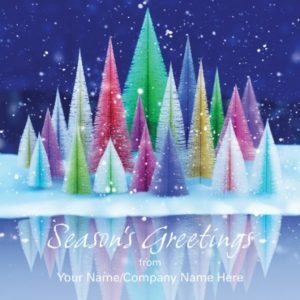 Add your name/company name to create a unique Christmas card. 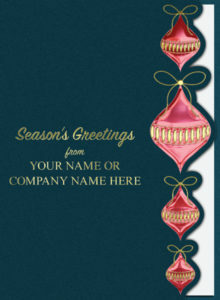 Baubles (CN0221) is die cut and finished with a shin red and gold foil. This design is suitalbe for corporate, company, business or personal use. Manufactued by Christmas Connections, the Baubles are foiled onto a shimmering metallic board. For an added touch you can personalise the front with your corporate, business or company logo. 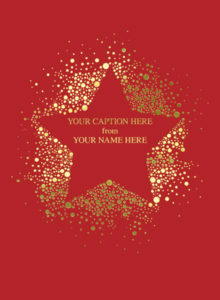 Your name/company name/logo is incorporated into the design of this card as shown. Matt Board Colours: Ebony, Imperial Blue, Red and Purple. 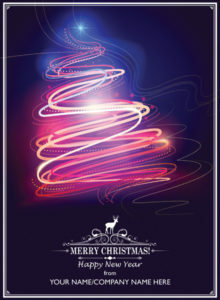 Foil Colours: Holographic Silver, Holographic Gold, Purple, Green, Silver and Gold.